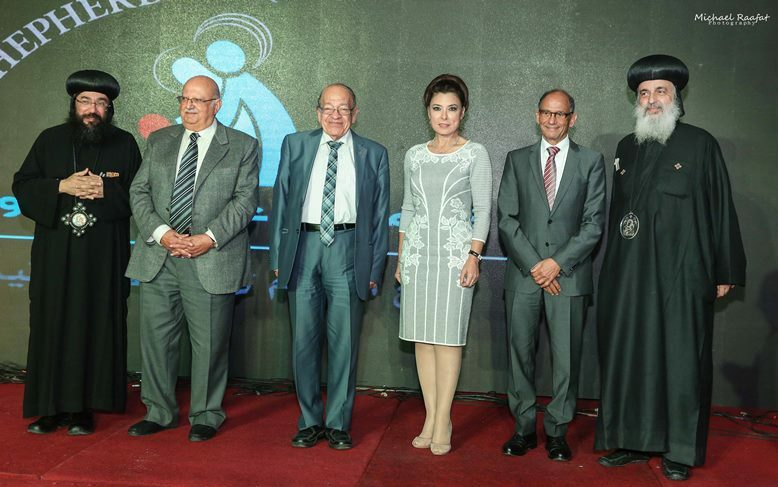 The ceremony was also attended by Anoushka, Egyptian singer, and TV host; Engineer Hani Azar, Global Tunnel Expert; Dr. Wassim Al Sisi, Professor of Urology and Egyptologist; and Mr. Mounir Ghabour, prominent businessman, alongside a number of other public figures and SML supporters. 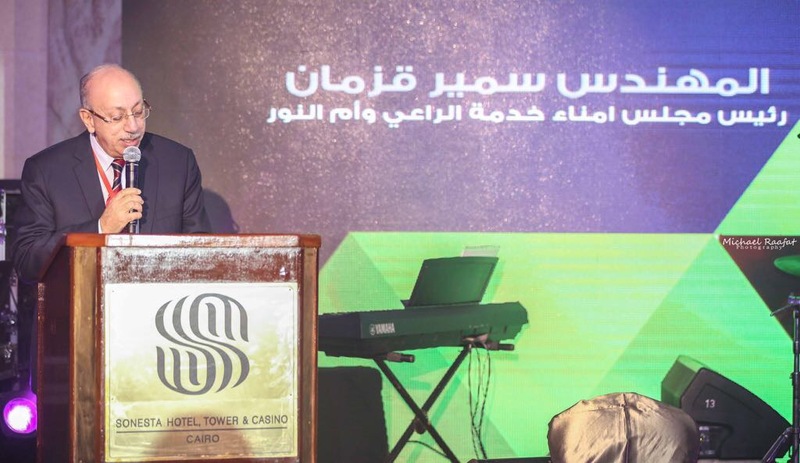 The Master of Ceremony for the night’s event was Mr. Osama Mounir, Christian Egyptian Radio personality. Mr. Samir Kozman, SML board members Chairman, welcomed all the guests with a heartwarming speech. The program began with spiritual songs, followed by a speech by Dr. Wassim Al Sisi about the role of the Coptic Orthodox Church in Egypt through the ages. His Grace Bishop Yolios gave a speech in which he commended SML’s efforts in providing for the poor in Upper Egypt. He stressed that the service is under the supervision of the Coptic Orthodox Church, but it has complete independence in financial and administrative matters through the Board of Trustees appointed by His Holiness Pope Tawadros II. The highlight of the night, however, came towards the end of the evening when a group of special needs individuals was honored for the success of their small projects within the economic development sector. SML also honored the late Dr. Tharwat Bassily, owner of CTV (Coptic TV) before his passing, as a symbol of love of the poor. Dr. Bassily was a great philanthropist who always used his public position to advocate for Egypt’s forgotten. Mr. Munir Ghabour presented the desire of Pope Francis, leader of the Catholic Church, to establish a pilgrimage for Christians that would allow them to walk in the footsteps of the Holy Family through Egypt. Mr. Ghabour expressed his intent to take on the project and work with the Vatican to set the plans in motion. During the evening, the guests also watched the documentary film entitled From Your Hand, which depicted the harvest of the service over the last twenty years. To all the SML volunteers, “from your hand we give you” is more than a slogan; it is their daily shared experience.